These days everybody shops online. You can buy everything from an online store, and more and more people prefer to shop online instead of visiting a local store. As more and more people shop online, online shoppers have figured out a lot of tips for saving money. Using online price comparison services, coupon sites or become a member for some shopping sites can be relevant in some cases. The secret is that many online stores show’s different prices to users from different locations. Therefore, online shopping websites might adjust their prices based on shopper’s locations. A VPN service will help you hide your real location and trick the online shops into thinking you are from another country. This way, you can check the different prices they offer to various customers and take advantage of the best deal. For example: If you search for a flight ticket from New York to London, with the same dates and details, you will see different prices for the same ticket! Nobody will be able to pry into your personal conversations, browsing history or online transactions, even on public WiFis and many other advances. To use this trick, you first need to sign up for a VPN service. 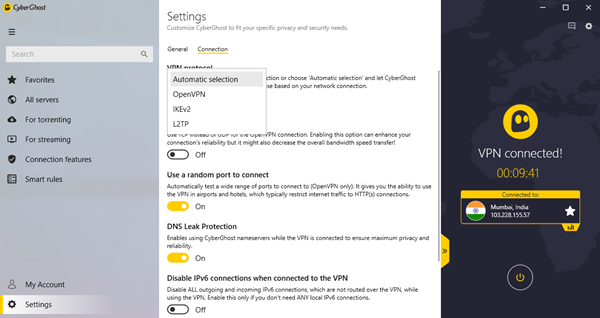 Once you have a VPN account, you can connect to a VPN server. Most VPN services offer different VPN servers located in different parts of the world. 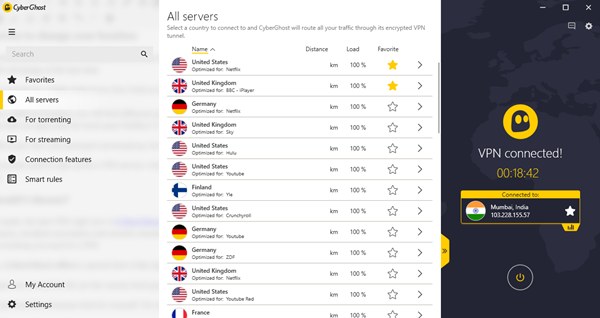 From the tests we made, the best VPN right now is CyberGhost VPN. It’s the best all-around option for speed, prices, privacy and unblocking websites. With over 1,700 servers in 60 countries, over 15,000,000 users, excellent encryption and security standards, specific apps for different OS and devices, affordable prices, 24/7 support, and servers for streaming and torrenting, CyberGhost has everything you need in a VPN. For a limited time, CyberGhost offers a special deal of $2.75 per month (77% discount!). Exclusive for TheWindowsClub users, Click here to get this special price! Overall, go ahead and test this awesome trick for yourself. Try using a VPN and switching IP addresses to snoop for the best online deals, and I can sure you will start saving a lot of money by shopping online!